Great merchandisers look for ways to maximize the utility of fixtures on their sales floor so that they can do more with less. 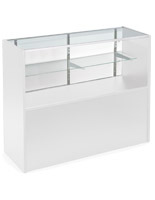 Finding a multi-purpose fixture can be difficult, especially when it comes to presenting a product line while maintaining mobility, security, and having the benefit of storage options.Our half vision showcases solve this problem by providing bright, versatile, displays through tempered glass. 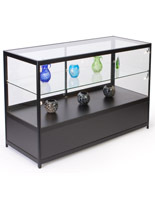 These fixtures are a great way to feature high-value merchandise such as electronics, collectibles, and jewelry while protecting them from theft or damage. 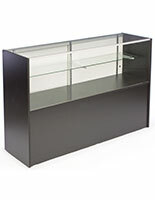 Many of these cases include bottom-loading storage units as well. This is the perfect way to ensure stock remains replenished at all times through even the busiest work day. 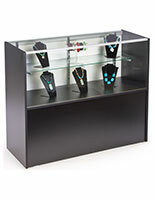 Take advantage of these half-vision showcases to present high-end wares in your store and promote better engagement between employees and customers who show interest in your product line. 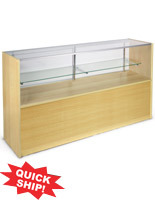 Show your customers that merchandise displayed in these cases is important. Use creative positioning to promote cohesive product lines together, so customers can shop a brand or style simultaneously. 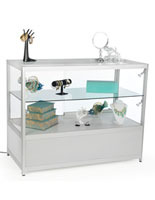 Many of the half vision showcases in this line feature bottom-loading storage, and display merchandise on the top half of the unit. Retailers have plenty of options to present the best-selling products in these highly-visible cases while leaving secondary upsell options protected below such as items with differences in color or style, and upgraded versions or accessories. 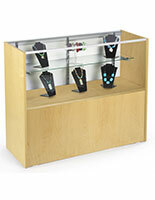 Our half vision showcases maintain a professional look in high-traffic retail environments. 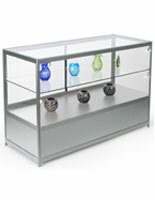 They feature shatter-resistant tempered glass panels and frames made from aluminum or MDF. Tempered glass increases safety by minimizing the risk of injury during an accident, breaking into rounded pieces for quick cleanup. 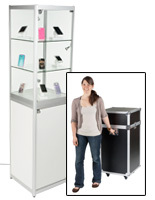 Some displays include LED lighting to better highlight the products inside, while others feature a mobile carrying case perfect for complimenting your trade show booth. What style options do we carry? 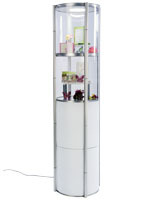 Tower displays work well as stand alone fixtures, perfect for highlighting individual items or a small line. Merchandisers and collectors alike use these cases to present an array of items from memorabilia, art, jewelry, and much more. Take advantage of the bottom loading storage units to hold extra stock, promotional add-ons, or everyday business supplies. Some models are collapsible and come with a hard carrying case for maximum mobility and ease-of-use. 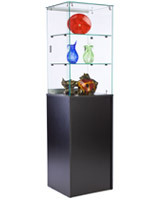 Use in any retail store, or at home to showcase your most valuable possessions. 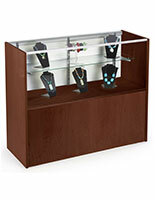 Traditional countertop displays come in a variety of style options. 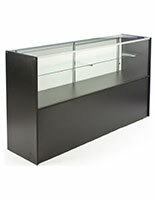 We offer fixtures that only have a front facing tempered glass panel as well as models that feature front and side panels. 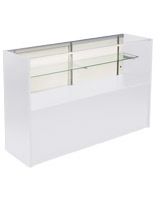 Front facing countertop showcases work well when placed side-by-side, allowing retailers to shopfit their stores and create cash wraps. 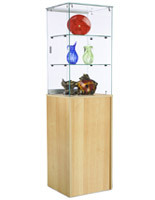 These models feature storage options protected under lock and key, to ensure that even unattended items remain protected. Shopfitting a store to meet all of these needs while upholding a cohesive interior theme can prove challenging. 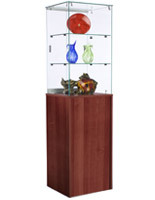 These showcases fit well with the existing decor of any retail environment and compliment other fixtures we sell on our site. 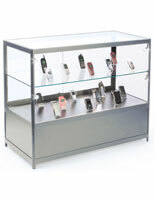 Unique features include tempered glass construction, collapsible frames with carrying cases for high mobility, LED lighting, and locking mechanisms that protect valuable merchandise. 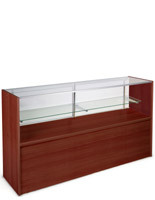 Be sure to check the specific product details on each to find the perfect showcase for your business.